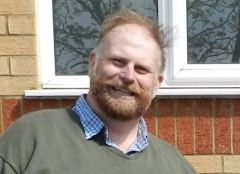 Cllr Tom Wootton is the Councillor for Wyboston Ward. Bolnhurst; Keysoe; Colmworth; Duloe; Little Barford; Little Staughton; Roxton; Staploe; Wilden; Wyboston; Chawston, and; Colesden. Tom lives in Ravensden where he manages the family’s farm, following a family farming tradition in Bedfordshire that stretches back hundreds of years. He is proud to represent the rural areas of Wyboston Ward and has campaigned on issues such as the retention of the Roxton school bus. He is married with 4 children who are all at school in Bedford.